Remember the ‘70s? Back then, IT was a mainframe in some room where only a few people had a key. A decade later, IT was a limited set of systems irrelevant to most employees and customers. But today, all of a sudden, technology belongs to everyone. But the suddenness of the digital revolution has led to confusion over who is truly accountable for technology investments, how much influence IT leaders should have over a company’s business strategy, and whether CEOs need to hire Chief Digital Officers. When technology belongs to everyone, what does that mean for IT? When technology is the business, how do we distribute technology leadership across the enterprise? How much more responsibility can IT take on? How long can the center hold? Through interviews with dozens of CIOs, Heller has created a snapshot of what CIOs are doing to lead IT in a climate where technology belongs to everyone. She addresses how CIOs are changing operating models, approaches to talent development, and how they navigate the new IT provider marketplace. Most importantly, Heller defines the top ten skills that CIOs will need to develop if they are going to be successful in this new era. As a master storyteller, Heller incorporates philosophy, humor, and pragmatic advice into a book that both informs and entertains. 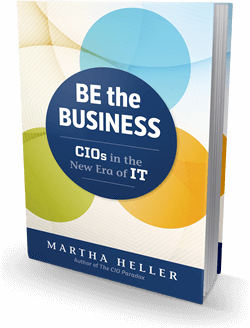 Once again, Martha has captured the complexity and nuance of the role of the modern day CIO, and woven it into an engaging, actionable resource for IT professionals." In the new digital landscape, IT is no longer a support function about the business; it is a fundamental building block of the business. This requires CIOs and their colleagues to reconstruct the IT function top to bottom, and Be the Business provides a wealth of good ideas for how to do so." Technology has moved to the center of every business and the list of critical competencies required of CIOs has taken yet another giant leap forward. 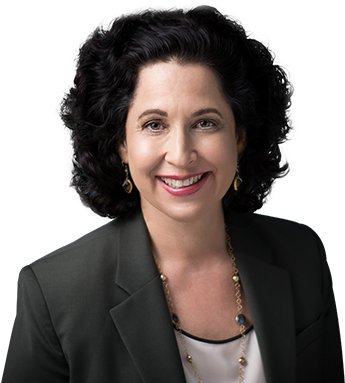 Martha has drawn from her executive recruiting and journalism skills to create an authoritative profile of a high performing CIO in the digital era."